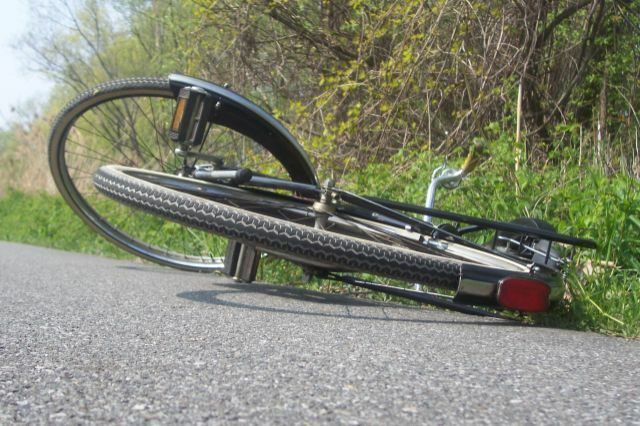 The Cycling In The South Bay blog had a great post recently that captures very well the agony/frustration/despair that often afflicts my clients who have suffered life-changing bike crashes. The blog post looks at a January 2015 collision Deb Banks suffered when she was run down by a drunk driver. She suffered multiple serious injuries: a fractured pelvis, a huge gash on her arm , and most devastating, severe life-changing leg injuries. Deb has endured five surgeries since then, and is still fighting for recovery every day. The driver was sentenced to nine years in jail. Sadly, Deb will suffer much longer than those nine years as she will have a lifetime of pain and hurdles to overcome on the road to recovery. To understand all that she has endured, read the blog post here. It’s heartbreaking, and probably hard for many cyclists to read. But you should read it. Now. It could happen to any of us at any time we are riding. Thanks for reading, and be sure to read the complete blog post! This entry was posted in Bicycle Accident Cases in Court, Bicycle Accidents, Bicycle Collisions, Bicycle Safety, Bike accidents, Bike collisions, Risks for Bicycle Riders, SUM coverage, Uncategorized and tagged accident attorney, accident lawyer, Bicycle, bicycle accident, bicycle accident attorney, bicycle risks, Bicycle Safety, bike accident, Cycling, Elmira, Elmira New York, Injury, James B. Reed, Jim Reed, New York bicycle accident lawyer, ny bicycle accident, ny bicycle accident lawyer, pa bicycle accident, pa bicycle accident lawyer, Traffic collision, Twin Tiers, Ziff Law Firm on September 27, 2016 by Jim Reed. 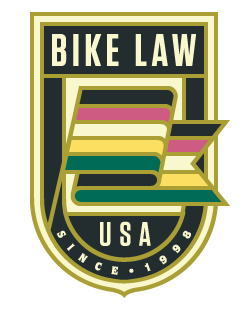 For NY And PA Bicycle Accident Lawyer, It’s A HUGE Honor To Be Featured In National Bike Law Expert’s Blog! Dan Flanzig, a New York City bike accident lawyer, and I were recently honored to be interviewed by Bob for his blog, BicycleLaw.com. 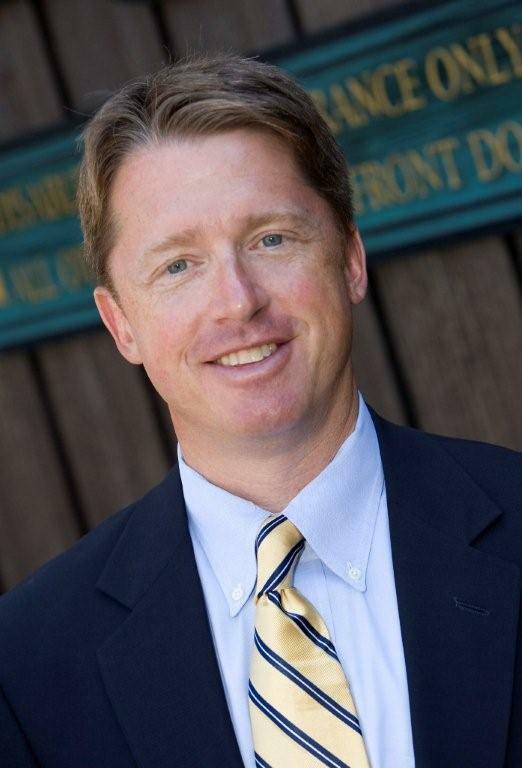 For bicycle accident lawyers, being featured in Bob’s blog is like an athlete being featured on the cover of Sports Illustrated. It doesn’t get any better! Dan and I were interviewed because we were both selected to be featured in BikeLaw.com as among the top bicycle accident lawyers in our state. How we got started as bicycle accident lawyers. Proper insurance coverage can mean the difference between financial devastation versus successfully surviving the financial damages caused by a bad bike crash. One quick insurance tip: if you are a NY cyclist who also owns a car, make sure you have at least $250,000 of SUM (Supplemental Under-Insured Motorist) coverage on your auto policy. This coverage protects you if you get hit by a car that is either uninsured or under-insured. You can read more about SUM coverage on my blog, New York Bike Accident Blog. This entry was posted in Bicycle Accidents, Bicycle Collisions, Bicycle Laws, Bicycle Safety, Bike accident lawsuits, Bike accidents, Bike collisions, Cool Stuff for Bicyclists, New York Bicycling Coalition, Risks for Bicycle Riders, SUM coverage, Uncategorized and tagged accident attorney, accident lawyer, Bicycle, bicycle accident, bicycle accident attorney, bicycle risks, Bicycle Safety, bicycling, bike accident, Bob Mionske, Cycling, Elmira, Elmira New York, Injury, James B. Reed, Jim Reed, Law, Lawsuit, New York, New York bicycle accident lawyer, ny bicycle accident, ny bicycle accident lawyer, ny bicycle cases, pa bicycle a, pa bicycle accident lawyer, pa bicycle law, Twin Tiers, Ziff Law Firm on October 15, 2014 by Jim Reed. 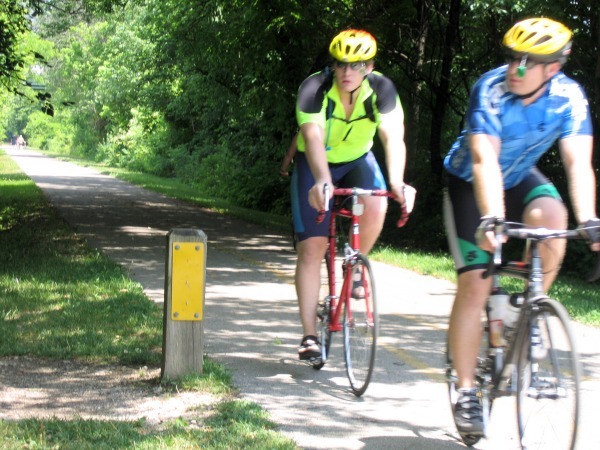 SUM coverage is a great deal for all bicyclists who are eligible and able to buy it. I was recently asked by another bicyclist for my advice about how much insurance he should have. He wondered whether he should get some bicycle-specific insurance to supplement his SUM insurance. (1) SUM covers you and your family whether you are injured in your car or on your bike. (2) Unlike most insurance coverage, SUM costs very little for all the protection it provides. I personally recommend that all of my cycling friends purchase a minimum of $250,000 of SUM coverage. I wanted to share the advice I gave the other bicyclist with all of my readers, because I think it will help my fellow riders and their families, who are wondering whether they have enough insurance! But let me address this bicyclist’s question about bicycle-specific insurance. Bicycle specific insurance policies are policies that are marketed to and provide coverage for cyclists. These policies can provide coverage for property damage to your bike, medical bills, lost wages and miscellaneous expenses. These policies are designed both for bicyclists who may not have a car or other insurance coverage, or, for those folks who want to supplement their other insurance coverage like auto insurance or health insurance. To be honest, I don’t know a lot about this type of insurance because it is relatively new and I have only been hearing about it for the last year or two. Furthermore, I have yet to have any of the many bike accident clients I represent actually have this type of insurance so I don’t have any personal or professional experience with these policies. However, I did go online to review a few of the different bicycle-specific insurance policies I could find. Frankly what I found was disappointing– relatively high premiums for relatively low coverage. For instance, one policy only provided $50 per day for every day you were in the hospital. Heck, if you are in the hospital, $50 is nothing so I view that coverage as virtually worthless. Of course, that was one policy and there may be other policies out there that are better but my little brief sampling of what is available was disappointing. If anyone knows of what they believe is a great bicycle specific policy, please let me know in the comments below as I am always eager to know of insurance products that could help my cycling friends and clients. My feeling is that the more insurance someone has, the better. So I would never advise against having as much insurance as anyone could afford, and sometimes it is necessary that you have several types of insurance to cover the many different ways you might be injured. However, I know most folks’ budgets are limited, so with that in mind, we all need to make decisions about the best coverage to buy. For my money, SUM is far and away the best deal because it provides lots of additional protection for relatively few dollars and it protects you both when driving a car or riding your bike. I would much rather see people increasing their property damage deductible to save some money so they can apply those dollars to the SUM coverage. Let’s face it, having to pay $250 to $500 more for property damage is not good, but it’s not nearly as bad as having injuries worth hundreds of thousands of dollars with no coverage. So my first recommendation is always buy as much SUM coverage as you can afford. First, most of these policies are expensive for the limited coverage they provide. Second, most are extremely limited in defining what injuries they cover (i.e., death or total amputation but nothing for the most typical injuries like a fracture). And third, some very narrowly define what types of cycling accidents are even covered or have exclusions if there is auto coverage applicable. Of course, insurance policies are simply contracts, so you always have to read the actual insurance policy to see exactly what it does and does not provide but most of the bicycle-specific policies I have seen to date have serious limitations. Hopefully in the future that will change, but so far I have yet to see a bike policy that I thought was worth buying. BUT IF YOU DON’T HAVE A CAR….. However, there is one important caveat for those bikers who do not have a car and therefore can’t buy SUM for themselves: in that case, these bike policies are better than nothing! I have written more about SUM coverage here and here. I strongly recommend you read more about it today. Bicyclists in Elmira, Corning and the Twin Tiers, what has been your experience with SUM insurance or specific bicycle policies? Please share your thoughts in the comment section below! Thanks for reading. Please be careful out there! This entry was posted in Bicycle Accidents, Bicycle Collisions, Bicycle Safety, Bike accidents, Bike collisions, Risks for Bicycle Riders, SUM coverage, Uncategorized and tagged accident attorney, accident lawyer, Bicycle, bicycle accident, bicycle accident attorney, Bicycle Safety, bike accident, Cycling, Elmira New York, Insurance, James B. Reed, Jim Reed, ny bicycle accident, ny bicycle accident lawyer, pa bicycle accident, pa bicycle accident lawyer, Twin Tiers, Ziff Law Firm on July 19, 2012 by Jim Reed. Jordan Rapp's account of his near-fatal bike accident is a reminder of how bicyclists can protect themselves financially with their car insurance. 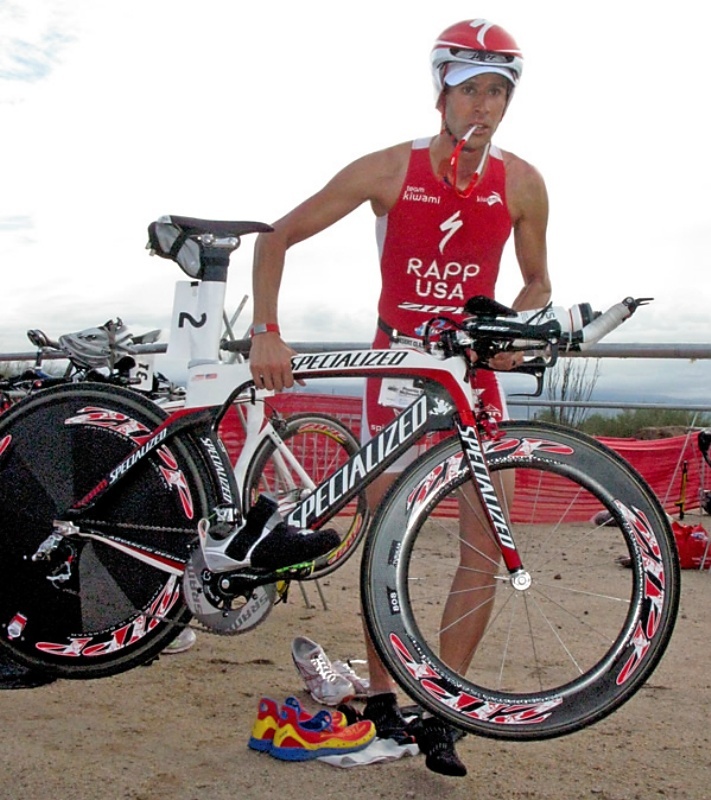 Professional triathlete Jordan Rapp recently wrote about what he learned after a near-fatal collision he had with a car two years ago. It is a very compelling and heartfelt account of how he almost died and grew to appreciate life much more. Jordan shares plenty of good safety pointers in the article and it deserves your full attention. Read it here. One of the most important lessons he shares — ATTENTION all bicyclists in Elmira, Corning and the Twin Tiers — relates to your car insurance. Yes, your CAR INSURANCE. Jordan was riding in a bike lane along a California highway when a driver made a left turn in front of him and Jordan crashed through a car window. Broken glass severed two of his jugular veins, but the fast work of emergency workers saved his life. The driver of the car? The coward without a conscience fled the scene and was tracked down by the California Highway Patrol. The driver had six fake IDs and an outstanding warrant. I urge all readers of this blog to read Jordan’s moving account of his recovery and second chance. But BEFORE you go, It’s important that every cyclist make sure they have excellent car insurance coverage, assuming they own a car. ALL bicyclists should have a large amount of SUM (Supplemental Underinsured/Uninsured Motorist) coverage on their car! You should check your coverage TODAY, and update it if necessary, because you never know what might happen tomorrow. And I sure don’t want my cyclist friends in the horrible situation of monster medical bills and insufficient coverage. You can read more about SUM coverage in my previous blog posts here and here. PLEASE SHARE YOUR STORIES AND QUESTIONS BELOW. DO YOU HAVE ENOUGH CAR INSURANCE? This entry was posted in Bicycle Accident Cases in Court, Bicycle accident lawsuits, Bicycle Accidents, Bicycle Collisions, Bicycle Laws, Bicycle Safety, Bike accident lawsuits, Bike accidents, Bike collisions, Elmira bike accidents, SUM coverage, Uncategorized and tagged accident attorney, Bicycle, bicycle accident, bicycle accident attorney, bicycle risks, Bicycle Safety, bike accident, Cycling, Elmira New York, James B. Reed, Jim James B. Reed, Jim Reed, Lawsuit, ny bicycle accident, ny bicycle accident lawyer, pa bicycle accident, pa bicycle accident lawyer, Ziff Law Firm on March 26, 2012 by Jim Reed.